Chuck Roast – Pork Sirloin – Ground Lamb. Whole Chicken – Flank Steak. The Family Box is perfect for those that like larger portions and saving money!!! Connoisseurs will find an ever changing selection of all our meats in portions meant for four or more. 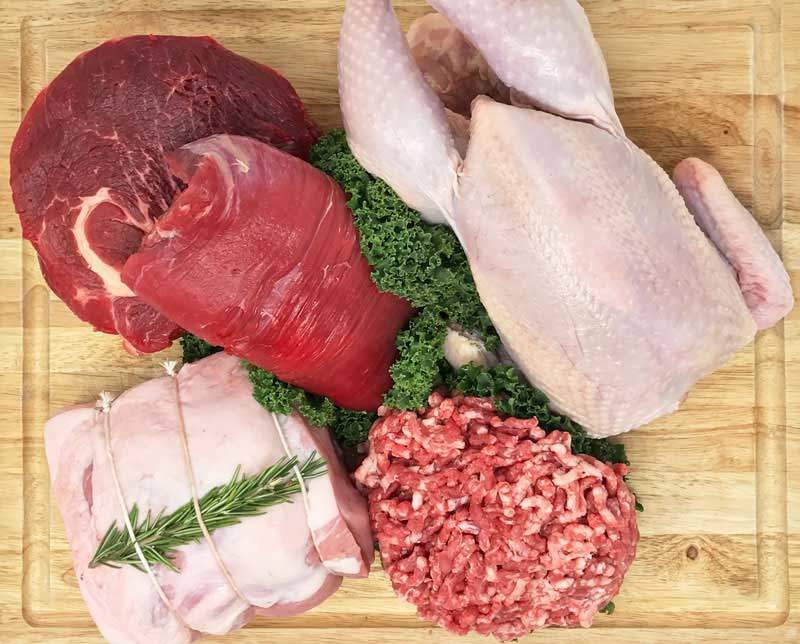 Beef, pork, lamb and chicken will all be included at times as well as our incredible bacon and sausages. Make a 6 month commitment and we will knock off an additional 10%!!! Prices drop to $54.00 for the smaller box and $90.00 for the large box! Stock up in advance and save! 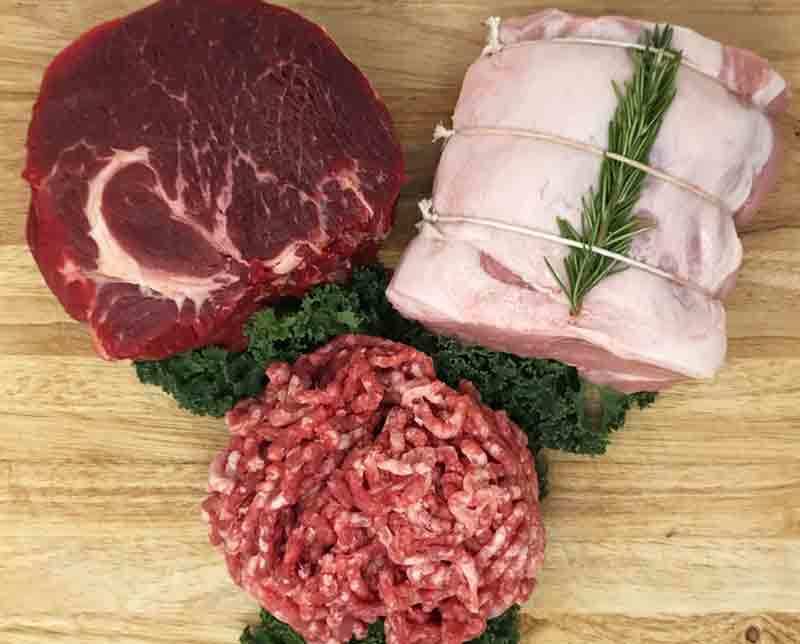 You can choose from Weekly, Bi-Weekly or Monthly pick-up at any of our Farmers Markets or at our Butcher Shop inside Community Market in Sebastopol. Home delivery will be available soon, including overnight delivery anywhere in California for a small fee. Please let us know if you would like to be notified when this option is available. What Might Be In the Family Box? All of our subscriptions are pay as you go. When you establish your account with us your credit card information will be stored by our CC processor and you will be billed a $25 start up fee. You will not be charged for your box until a couple days before your pick up date.